On the heels of their highly successful international tour the SJZ Collective invites you to celebrate the release of their first EP as a Collective. SJZ Collective Reimagines Monk debuted as a project at San Jose Jazz Winter Fest 2018 featuring Silicon Valley’s top tier jazz musicians, and dedicated to the centennial of Thelonious Monk. 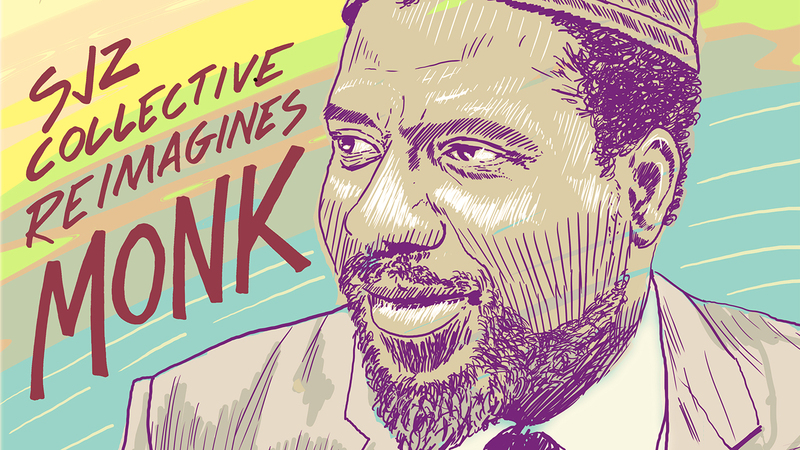 Featuring four of Monk’s most notable works, the Collective puts a unique spin on these well-known tunes. This ever-evolving group of master players is the brainchild of drummer Wally Schnalle. The ensemble allows each member to shine by bringing their own arrangements to the group. The 2018-19 ensemble includes organist Brian Ho, saxophonist Oscar Pangilinan, bassist Saúl Sierra, guitarist Hristo Vitchev, trumpeter/flugelhornist John L. Worley, Jr. and drummer Wally Schnalle. For this event, Brian Ho will be substituted by pianist Murray Low and Hristo Vitchev will be substituted by guitarist Mason Razavi.